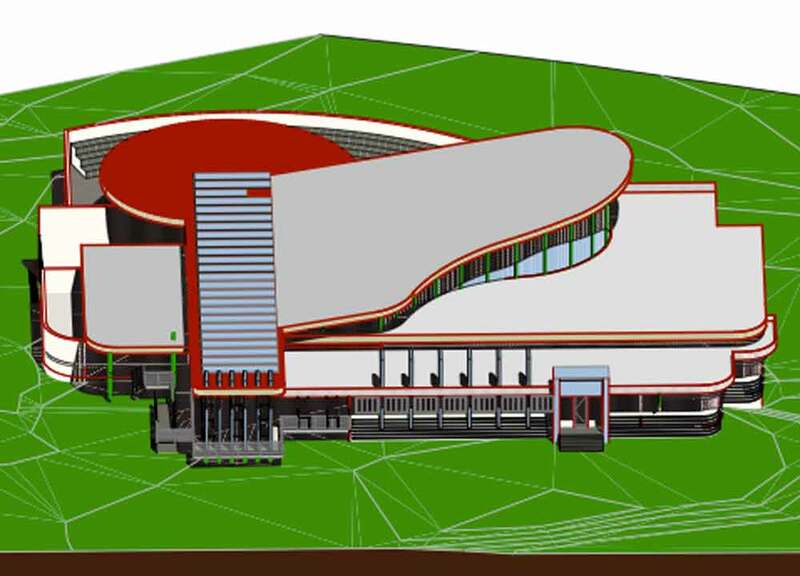 The brief for this project was to design a world class music venue to attract top class musicians to perform at between Sydney and Brisbane. Out of a large field of designers and architects, Barefoot Building Design, in association with leading north coast interior designer, Jennifer Fair at Jennifer Fair Interiors, , was chosen to design a landmark building that would be a major attraction on the long drive between capital cities. This was the catch cry in discussions throughout the entire process. So, what better way to achieve that, than to build a grand piano and a guitar! The project was situated next to a local airstrip with small planes and helicopters doing regular joy flights over the breathtaking scenery. THis provided a unique opportunity to design an attractive building from the air as well. 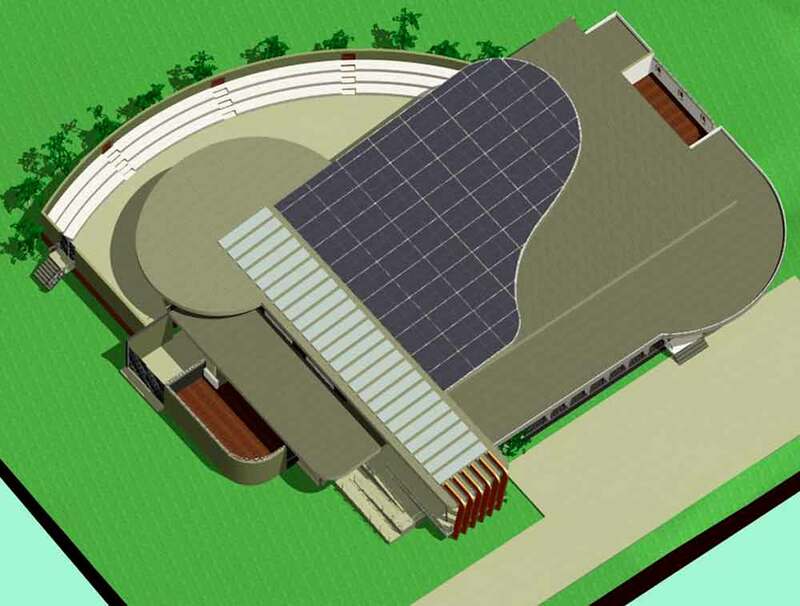 The stage is multi-functional and can be opened out to allow another four hundred patrons to enjoy the show from the specially designed outside amphitheatre. THe building design contained luxury accommodation and a viewing level for the many very important guests. A restaurant and bar with the classic San Francisco street car theme, provided us with plenty of artistic scope. 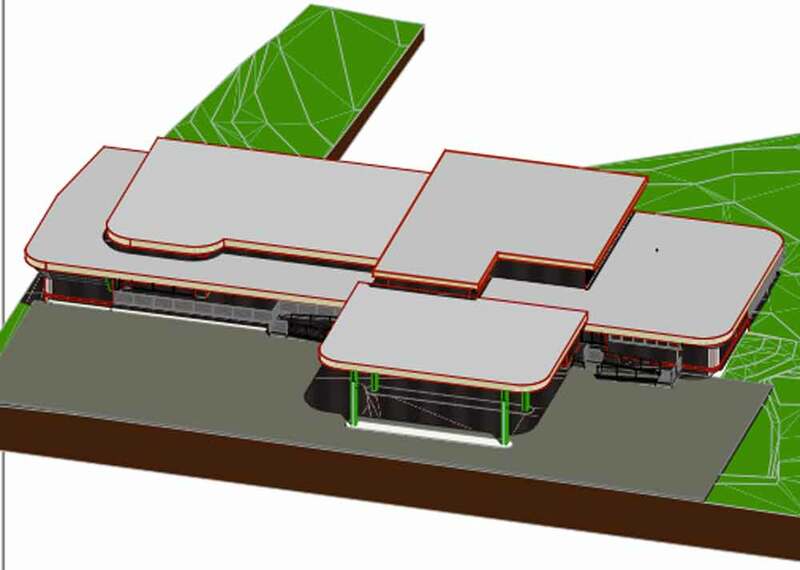 Part of the project brief was the redevelopment of an old petrol station to include retail shops, small supermarket and a music cafe for local acts to perform for the many patrons who would frequent this iconic development. 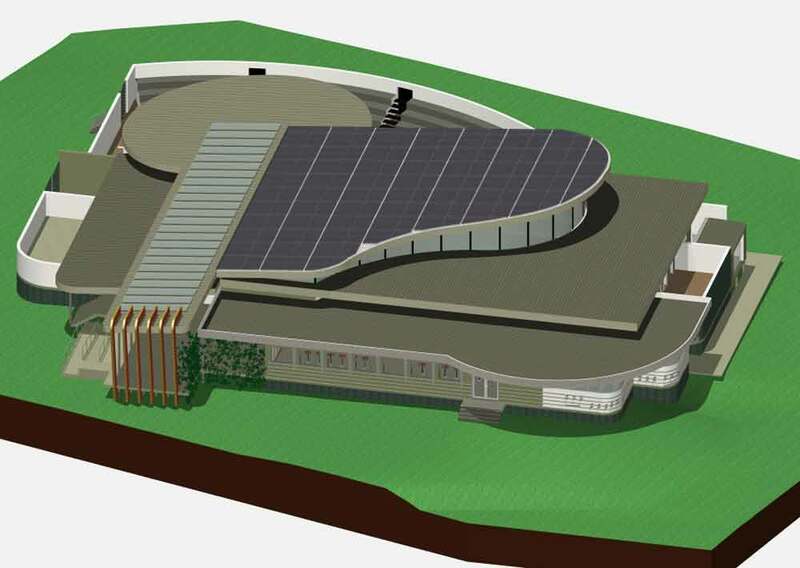 Sustainability is intrinsic in the design of this music venue and the entire roof area is one huge solar panel, creating enough electricity to power the building for all but the most spectacular of stage shows. 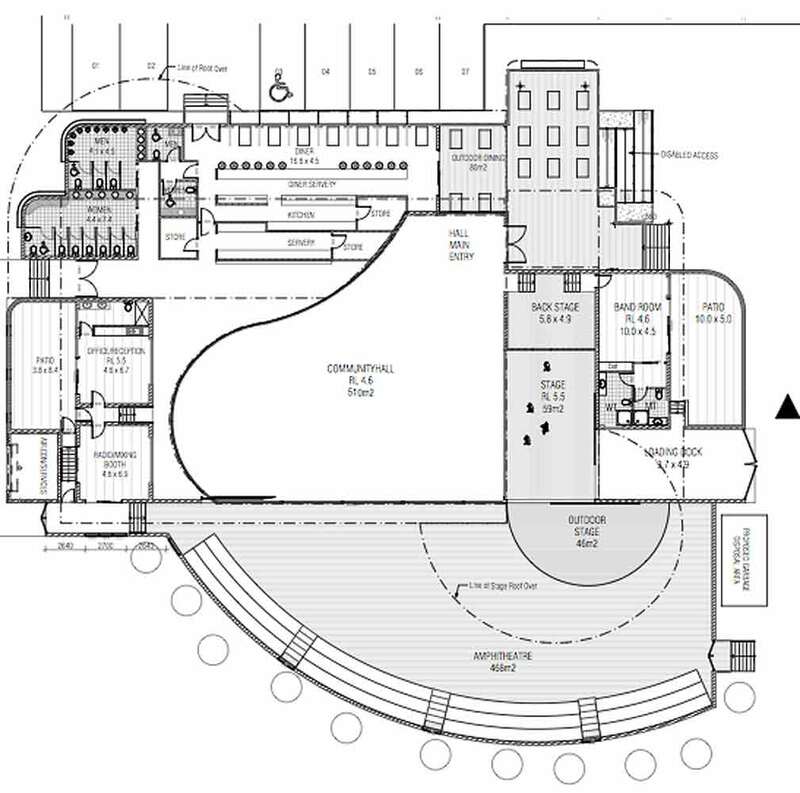 All the restrooms in the music hall are to be serviced by a commercial composting toilet system which can be recycled and used to fertilise the gardens and landscaping. This is a project that Barefoot Building Design will be proud to put their name on for many generations to come.